The Church of All Saints, Brandsby, North Yorkshire, is a Grade II* Listed structure dating from 1767. 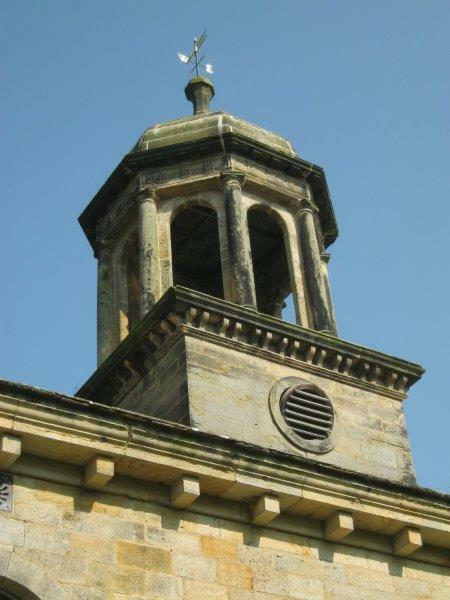 Concerns had been raised regarding the cupola feature following a quinquennial inspection. Defects included rusting and expanding iron cramps, stonework erosion and spread of the masonry dome. 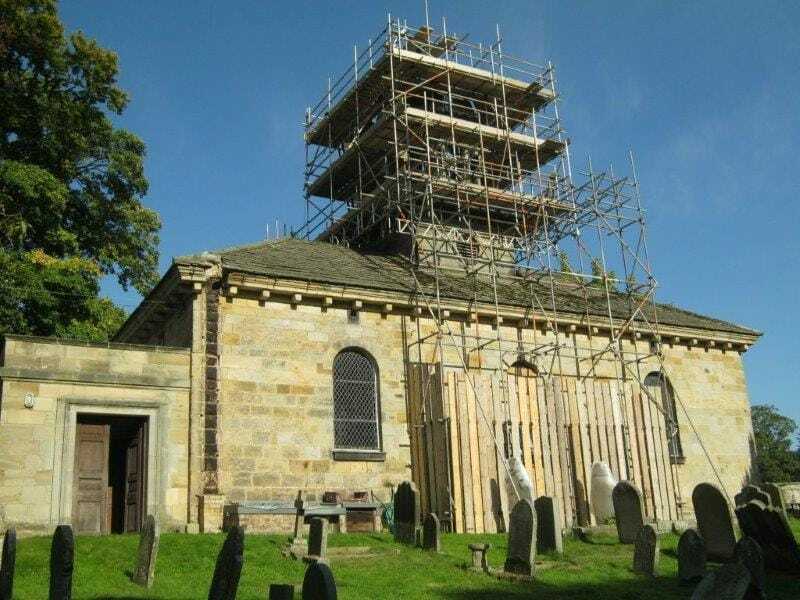 Mason Clark Associates assisted with the high level investigations, working with the steeplejacks and also via a long reach mobile access platform. Considerations had to be given to temporary support, working over the adjacent burial site. We carried out an analysis of the cupola and designed a new internal stainless steel restraint system to the dome, together with bespoke cramps to the supporting columns. Repairs to the masonry were completed using a hot lime mortar mix. MCA also reviewed the loading of the contractor's access scaffold on the existing roof structure and acted to provide CDM Advisory Services. View of the high level scaffolding. View of the completed cupola.